A few nights ago, I had two dinner options, a vegetarian tart or this Pork tenderloin (or Pork Fillet) with creamy mushrooms. I asked my Twitter friends to help me make the decision and it was literally 50/50. Then I spoke to my husband and he promised to break the heels off my favourite pair of shoes if I don’t make the pork. He didn’t quite understand how there was any hesitation in this matter to begin with. I served the pork with potato wedges for the pure reason that I was just too lazy to make mashed potatoes and it actually really worked. I loved having something to dip into the creamy mushroom sauce, but of course, you can serve this with anything your heart desires. Some good bread would also be delish. And to make this a deliciously rounded off meal, I made a zesty salad to go along with it. 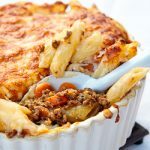 My husband says this was his favourite meal so far this year, do you blame him? In a hot frying pan, sear the meat on both sides. Place them into a roasting dish and pour over the lemon juice followed by the salt and pepper. Cover with foil and roast for 15-20 minutes until cooked through but still moist. Meanwhile, in the same frying pan that you seared the meat in, dry fry the mushrooms until they are browned and softened. Add the garlic and then the cream. Turn the heat down and allow to reduce for 10 minutes. Add the paprika, lemon and seasoning. When the meat is cooked, allow to rest, covered, for 5 minutes before slicing and serving with the creamy mushrooms. This truly looks like a wonderful supper. 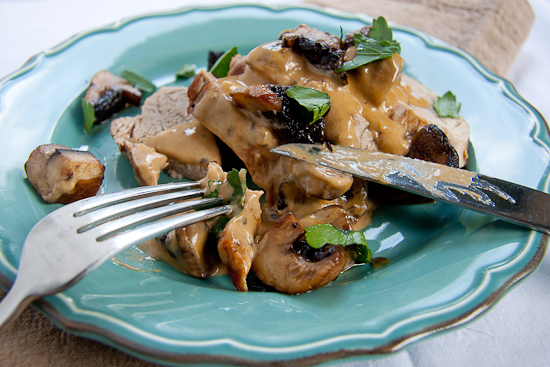 That mushroom cream sauce looks fabulous and would be good on so many other things, too! 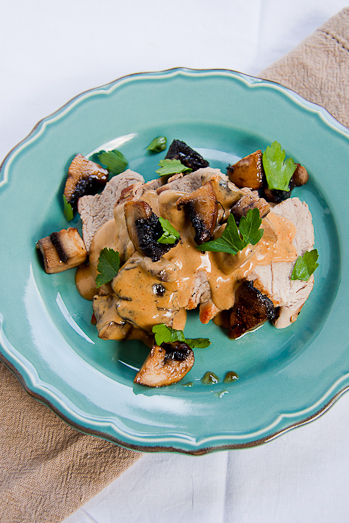 How can you go wrong with pork fillet and that gorgeous mushroom sauce? I often cook pork fillets, because they are super cheap in Taiwan – and they’re always tender! I love the big chunky mushrooms so much nicer than finely sliced. 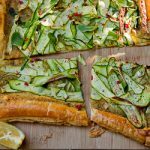 Looks delicous.